PMG stands for permanent magnet generator. This booklet describes how to build one. It was prepared in year 2000 by Hugh Piggott, for Intermediate Technology Development Group (ITDG), as part of an overseas aid project for DfID. It is not confidential; in fact the object is to disseminate it widely. Feedback is more than welcome. Please let me know what you think. Steel disks for the pmg can be obained in the UK from Andy Taylor phone 01305 861001 for £6 each. plans lazer cut (very nice finish). 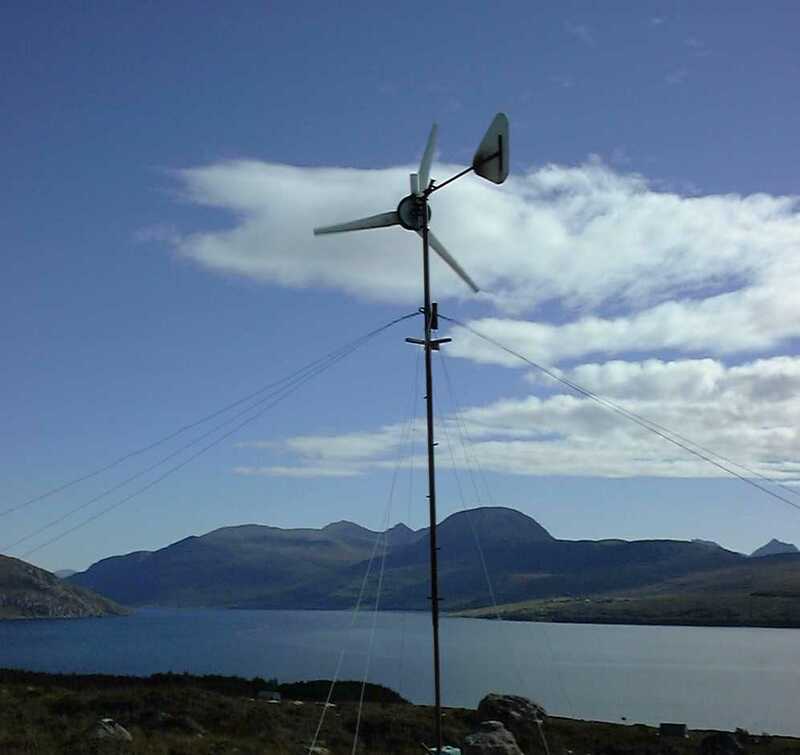 The pmg is intended for small wind turbines (although it can also be used for battery charging hydro turbines). It is of the 'axial flux' type. Magnets are fitted to steel disks and spun past coils. Here is a picture of magnets on a wheel bearing. Later I learned to embed the magnets in resin so as to prevent them from flying off at high speed. All this is covered in the booklet. Here's a picture of the stator which is the stationary bit which holds the coils. The coils are set in resin. Here below the resin is clear so you can see the coils embedded within. A magnet rotor passes on each side of this disk and produces AC voltage in the coils. Another magnet rotor fits on top of the stator. Next, in this early picture, I am spinning the alternator with a power drill to collect data about the output at various speeds. I am also teaching courses where you can learn how to do this.